Please email us for your log in details to access the existing customers section once you receive your order and DS Multicart User Reviews. There you will find info such as instructions on how to use your new Multi Games Cart, Discounts, Downloads, latest news and other helpful information. You can access this area by logging in through the existing customers link at the top of this page. Please use code 5DISC at the checkout when ordering for a 5% discount off your total order amount when purchasing two or more packages. Choose 30 of your favourite NDS games from the List. No size or game restrictions. 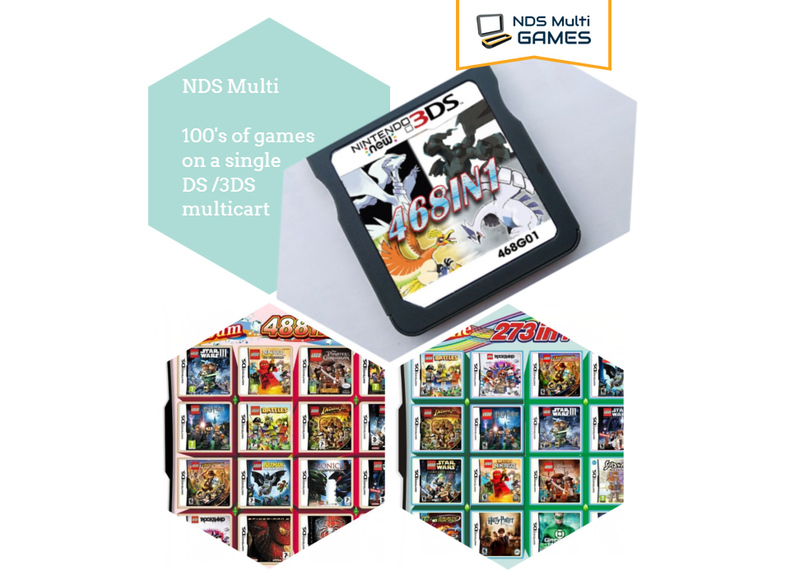 Packages - www.nds-multi-games.com DS, DSi & DSi XL multi-game cartridges. A selection of the latest 100 games delivered to your door on a Nintendo DS card. Simply slot the card into your DS and select the games you want from the menu. Nothing else needed! 48 Hour Delivery. Suitable for under 8's. 100 of the latest popular kids titles such as Peppa Pig, Madagascar and Disneys Bolt. 48 hour delivery to your door on one Nintendo DS card. Simply slot the card into your DS and select the games you want from the menu. Nothing else needed! Choose 60 of your favourite games from the Games List below. If there are any Games you want that are not on the list then please e-mail us your requirements and we will try to source them for you. If you choose less than 50 games then we will automatically provide random choice games to make up the number. 100 of the latest top selling games to keep the boys busy. Simply slot the card into your DS and select the games you want from the menu. Nothing else needed. 48 hour delivery to your door on one Nintendo DS card. Simply slot the card into your DS and select the games you want from the menu. Nothing else needed. 100 of the latest top selling games to keepÂ the girls busy. Simply slot the card into your DS and select the games you want from the menu. Nothing else needed. 48 hour delivery to your door on one Nintendo DS card. Simply slot the card into your DS and select the games you want from the menu. Nothing else needed! Choose from the List of well over 1000 well known DS, DSi Games to keep you amused for hours. 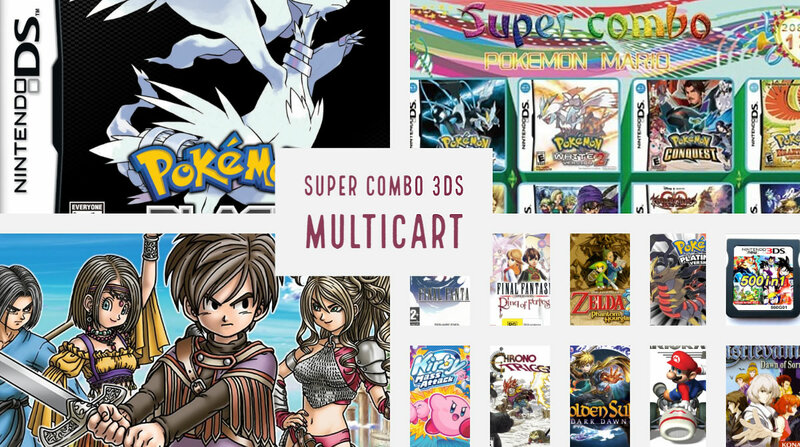 With the Choose Your Own DS / DSi Games Collection you simply slot the Multi-Cart into your DS or DSi and choose your game from the menu, nothing else needed. Orders received before 1:30pm will be despatched the same day and delivered to your door on one Nintendo DS Multi-Cart. Simply slot the card into your DS or DSi and select the games you want from the menu. Nothing else needed! Also works with the new DSi XL. If there are any Games you want that are not on the list then please let us your know and we will try to source them for you. If you choose less than 30 games then we will automatically provide random choice games to make up the number providing you have supplied more than 50% of the total. Note: if your purchase is for a special occasion like birthday etc then it is advisable to choose guaranteed next day delivery as the 1st class signed for option (which is free) is not a guaranteed service and it is possible that royal mail may take an extra day or so to deliver.